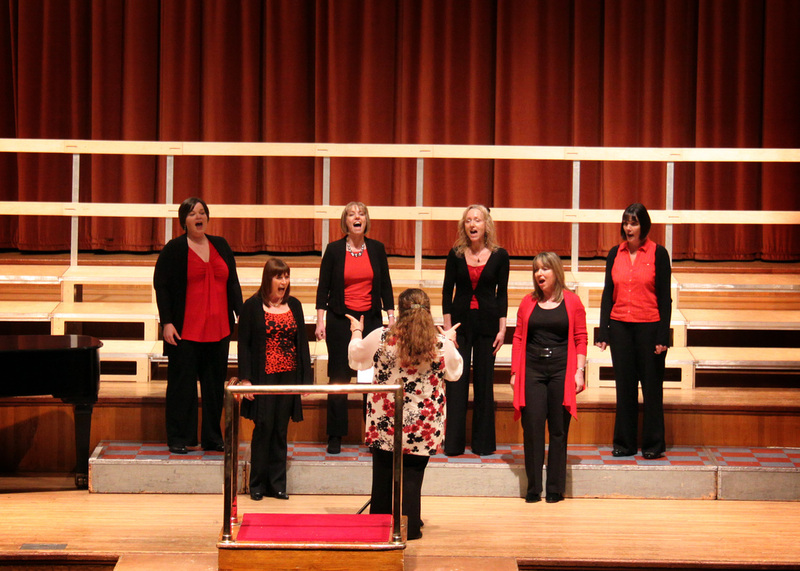 We are a ladies vocal ensemble based in Worthing, West Sussex. In order on the photo on above we have... Helen Emery (MD), Beth Emery, Julie Le Manquais, Karen MacDonald, Amanda Partington-Todd, Maxine Smith, Jackie Sullivan and Alison Wiles under the musical direction of Helen Emery B.A. (Hons) C.T. (ABRSM). We rehearse most Monday evenings. We are expanding our repertoire to include duets, trios and smaller group ensemble work. We formed in 2012 although between us have many years of music experience. The Emery Ensemble entered the Worthing Music & Arts Festival in 2013, we were delighted at winning 1st place against 5 other choirs in our first class and coming 2nd in the only other class we entered (but 2nd in style with honours! - Over 90 marks!). You can hear some of our music and keep up to date with us through our Facebook page. Please click here to like us!